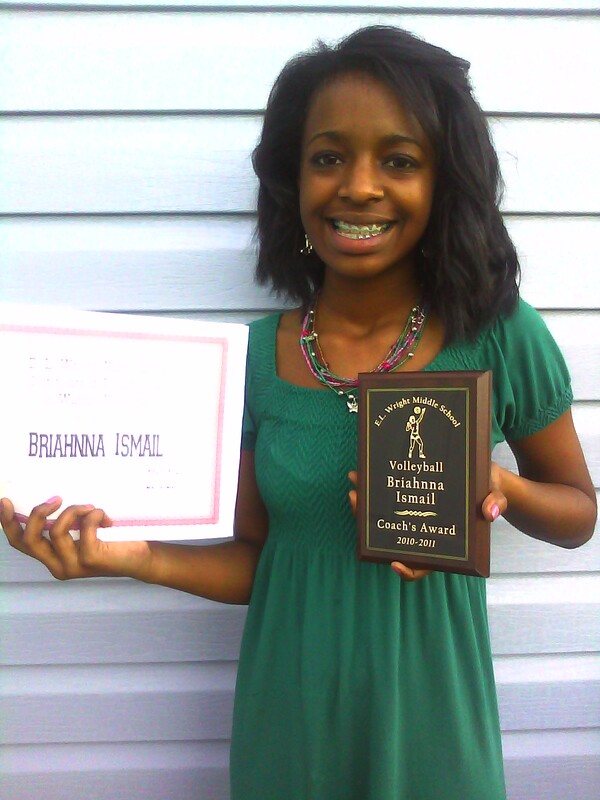 We attended Briahnna's middle school athletic banquet last week to recognize all students that participated in the sports programs. For each sport the coach gave out 3 plaques to the athletes they thought were most deserving for a specific area. Briahnna was given the 'Coach's Award'. Her coach was pleased with Brie's readiness to work hard, perform well and be a team player. We are so proud of Brie and she certainly deserves this great honor. What a nice way to close out her middle school volleyball career. Next stop high school! aaawww, such a proud mama moment!! excellent! Congrats to Brie on her awards. Congrats to mommy for also do such a great job. Awww..congrats to Brie!! Hope she keeps up the great work. Awww, congrats to your baby girl! !